Students will soon see construction taking place on the road between the Student Center and the Chapel. 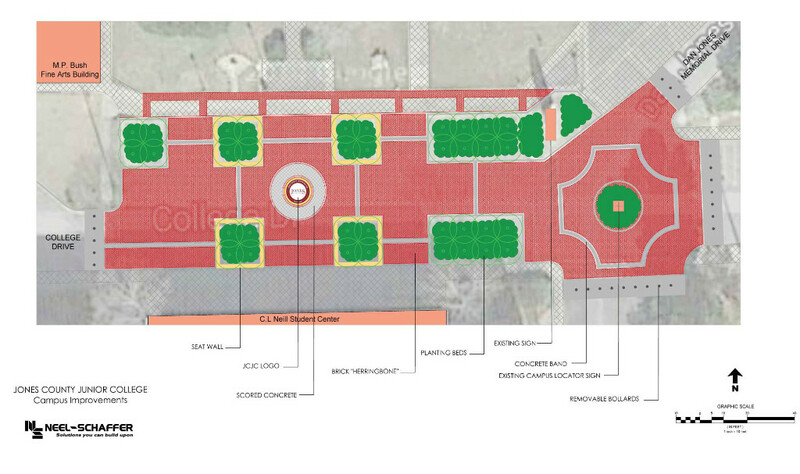 This is a campus beautification project that the college received through a $416,000 transportation grant. 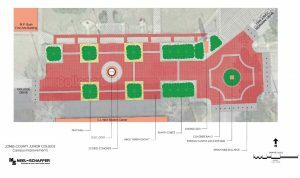 When it’s complete, the road will be replaced with brick pavers, a fountain and a JCJC logo designed into brick in the center of the plaza.